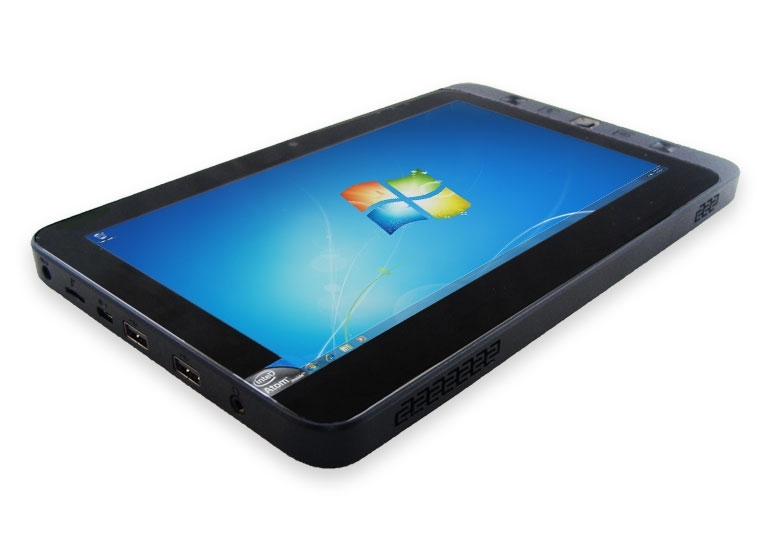 Netbook Navigator’s Nav10i, the latest 10.1 inch tablet is ready for joining the competition in the market of the tables. They are already taking pre orders for the same and the price range starting from $599, although it does not include any operating system. Though it is also available without an operating system, but the makers also provide Windows 7 Home Premium, Professional or Ultimate as Operating Systems. This tablet is equipped with a 1.66GHz Intel Atom N455 processor. The 10.1inch display provides a resolution of 1024 x 600pixels of resolution and it is a capacitive Multi-Touch LCD screen. The Nav10i has provided an option with the internal memory for capacity of 1GB or 2GB DDR3 SDRAM. For storage they also have three options with 16GB, 32GB, or 64GB of 1.8inche Solid State HDD. For wireless connectivity it has a Wi-Fi 802.11n and Bluetooth which are included in the basic model. Sierra Wireless 3G Broadband is kept as optional and 3G users will have to pay a bit more. Some of other Expansion ports include 2x USB 2.0, 1x Mini SD Slot and also 1x SIM Slot. A camera of 1.3 Megapixel to its front provides user to avail the facility of video calling. The dimensions measure around 10.8 x 6.7 x 0.5inches and it weighs around 1.5lbs. The battery attached to it is a 3-Cell 3200mAh Li-Ion. The price for the basic model with Installed Windows7 Home Premium and 2GB of RAM is $699. While the model with 64GB SSD and 3G is priced $1049. There are also some accessories available which supports Nav10i tablet like keyboards, external battery charger, etc.